Buenos Aires itself has endless activities, sites and restaurants to pass your time, but if you're wanting to experience something completely different from the city, then check out these three amazing day trips. Just a 45-minute train ride away, Tigre is actually still within the much wider boundary of the Greater Buenos Aires province. This place is a "must visit" if you go to Buenos Aires. Positioned towards the mouth of the Luján River, it's built around a series of connected waterways - think Venice, but rural. Pick a sunny day and stroll up and down the promenade admiring the colonial European architecture. 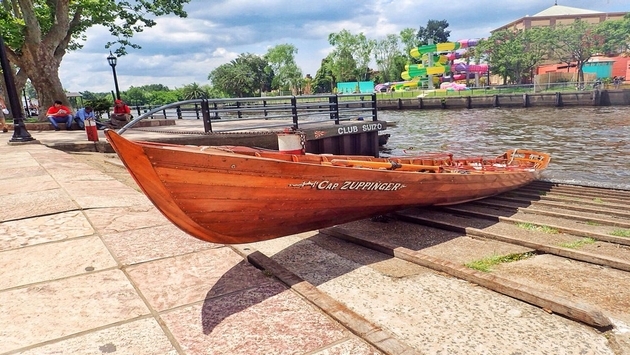 Take a boat tour around some of the narrow waterways, or watch rowers from the various historical rowing clubs that dot the riverbanks. For lunch head to the Puerto de Frutos and enjoy a meal and glass of wine in one of the restaurants overlooking the river. Previously a fruit market, this famous local shopping destination now sells everything from cured meats to furniture and anything in between. It's a colorful kaleidoscope of sights and smells and will keep you entertained for an hour or more. Have a look at the newly built China town, reflective of the large Chinese community present in Buenos Aires. You'll find many of the stalls selling the same thing but there are plenty of bargains to be had here. There's also the Parque de la Costa, a theme park nearby to China Town if you're seeking a thrill. Jump on an early morning high speed ferry and you'll land in Uruguay in around an hour, no visa required. 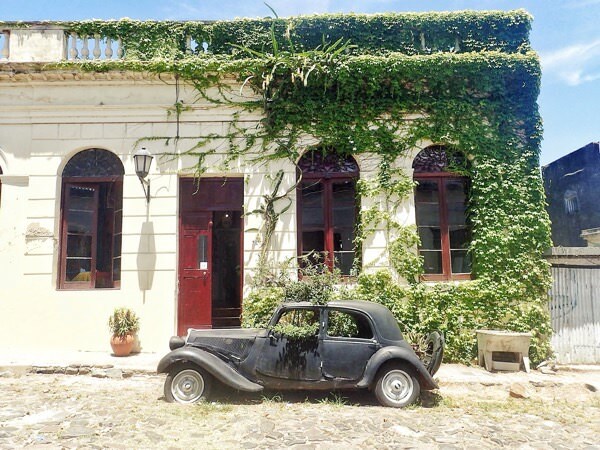 The main interest in Colonia is within the quaint, walled, Unesco listed Historic Quarter which is famous for its picturesque cobblestone streets and vintage cars. Get lost wandering around the tiny back alleys while learning about the fascinating history as a Portuguese colony. Climb the perilously narrow steps to the top of the old lighthouse, here there's a fantastic vantage point which will give you great views over the Historic Quarter and beyond. Enjoy lunch in one of the traditional restaurants, many of which offer high quality set meals and have live performances by local musicians. One has even converted one of the classic cars into a dining room for a unique experience, although you may have to wait a while to sit down. Even though this is only a couple of hours by bus from Buenos Aires Bus Station, you'll feel like you're deep in Gaucho territory here. The town, built around a beautiful central square, is made up of traditional single story, flat roofed buildings. It's sleepy, slow paced and quiet, such a change from the big city. Gangs of street dogs patrol the pavements, but don't worry they're all friendly and are well looked after by the loving locals. There's a very helpful tourist center in the main square where you can hire bikes for free using your passport as a deposit. Despite San Antonio being small, it's quite spaced out so this is a great option to get around. 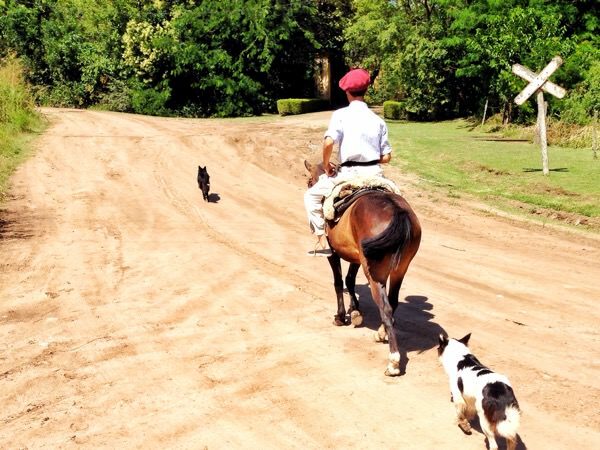 Make your way across the river to the Ricardo Güiraldes Gaucho Museum, set in a beautiful ranch where you can learn the history and traditions of the Gaucho. Head back to the town for lunch where you'll find lots of great choices to enjoy traditional Argentine fare, with a great bottle of red wine - of course. For its size, this town packs a culinary punch. Highly recommended is the Old General Store, where it feels like they closed up one day and just started serving food - there are so many original artifacts lying around it's like stepping back in time. Saddle up for a countryside tour in the afternoon. Horse riding is a way of life here and you can either hire horses by the hour down at the main bridge, or get picked up by a Gaucho for a guided tour around his Estancia (many of the men still wear the signature Gaucho dress, epitomized by the beret - it's not for the benefit of tourists). Buenos Aires is a city of infinite possibilities, but if you need a break from the bright lights and late nights try one of these amazing day trips. You won’t regret it.